A lawmaker in the Benue State House of Assembly, Dr. Adoga Onah, has disclosed that 23 general hospitals in the state are without doctors.Onah, who is the Chairman, House Committee on Health and Human Services revealed this in an interview.He added that the hospitals in the 23 local council areas also lack relevant health workers. 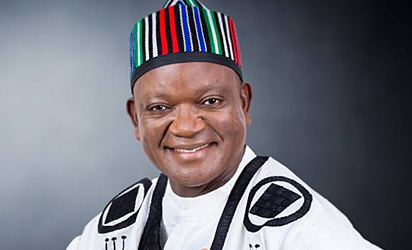 The lawmaker urged Governor Samuel Ortom to declared a state of emergency in the health sector, as was done in the payment of salary arrears.He also raised the alarm about the non-availability of medical personnel and necessary vaccines at the Internally Displaced Persons’ (lDPs) camps in the state.He expressed concern that the poor situation has placed thousands of children at the risk of vaccine preventable diseases as polio, tuberculosis and measles. He said these people would not have died from simple ailments, if doctors were available at the hospitals.Onah added that the inability of government to keep to agreements was seriously affecting the healthcare system in the country.He disclosed that the health sectors have not been given the needed attention from the grassroots to the state level. He solicited boosting the sector by offering first line priority to doctors and other health workers, as was done to lecturers of the Benue State University.“Right now, the doctors in the 23 general hospitals in the state are on strike. The bonds’ doctors have not been paid for about 8-9 months, while the regular doctors are owed eight months salary arrears. This situation has created general apathy among the health workers. “At the IDP camps, the inmates, particularly children and the pregnant women are dying almost on a daily basis. This is because; there are no doctors and other health workers to attend to them.The lawmaker disclosed that the assembly allocated 15 per cent to the health sector this year, as against the usual four per cent.He stressed that the 15 per cent appropriation was still not close to the 50 per cent that the World Health Organisation (WHO) had recommended.